This is taken from the Wokingham Fire Brigade diaries which were in the possession of my father for a while before we passed them onto the Berkshire Records Office. These covered the call outs made by the Wokingham Fire Brigade during the first half of the 20th century – a small detail of each fire, which crew members attended, and the cost to the brigade. Called at 3.40am to a fire at Wargrave Church, some 2 hours after the fire was started. Cause surmised set on fire by Suffragettes! The Henley & Wargrave Brigades were in attendance. 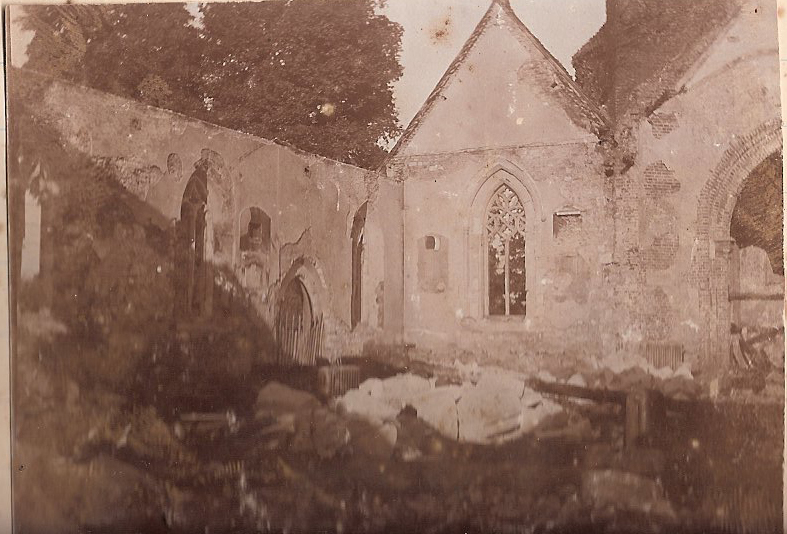 Roof and Belfret destroyed also Bells, clock & all interior masonry, timber fittings & windows – quite gutted. Estimated damage £8000 covered by Ecclesiastical Insurance. The Brigade returned home at 10.10 am. Dearlove. Brown. Painter & Herring & Hawkins. 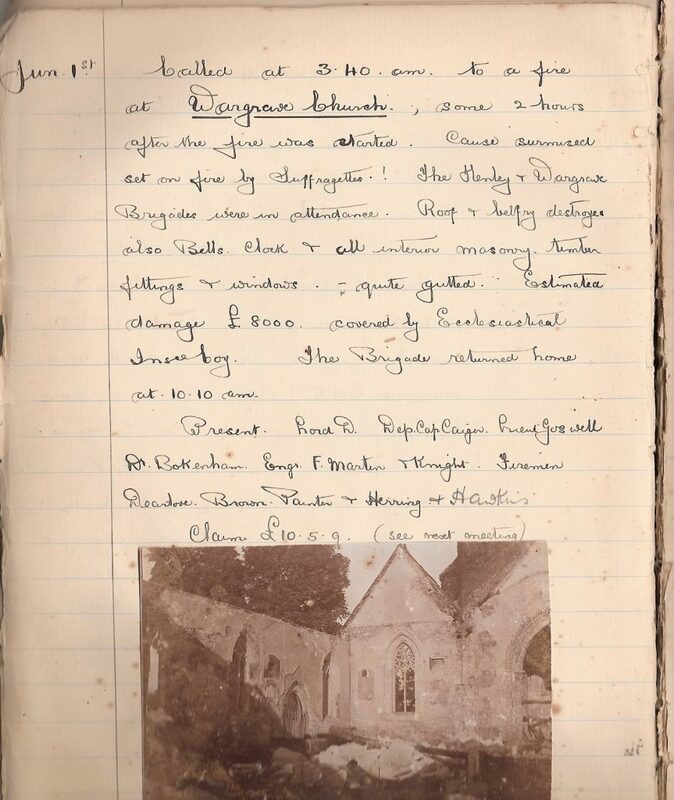 This was the only page in the diaries that had an attached photograph. No national Fire Service existed in those days, costs incurred would, where possible, be claimed from the insurer of the property. Lord Downshire was the Captain of the local brigade and appeared to turn out to most calls. The fire station was under the Town Hall in Wokingham. Suffragettes went to some extremes to get their message across – good sense did eventually prevail and everyone was given the right to vote, regardless of gender. It’s a shame that a large number of people now don’t seem to bother to use that right. If you are registered to vote, please make sure you vote!